The Eyevage Age Defying Eye Cream is an eye-treatment targeted for maturing eye issues including dark circles and fine lines. To be honest, I wasn’t expecting to receive this product since I am not a part of the target demographic, but since I was already a part of the Juvabrite campaign, Solvaderm kindly offered to include me in their Eyevage one as well. Nonetheless, I was still very excited to use this product! Eyevage is pretty effective and works great for darkness. I can’t say much for wrinkles, though, as I don’t have any. 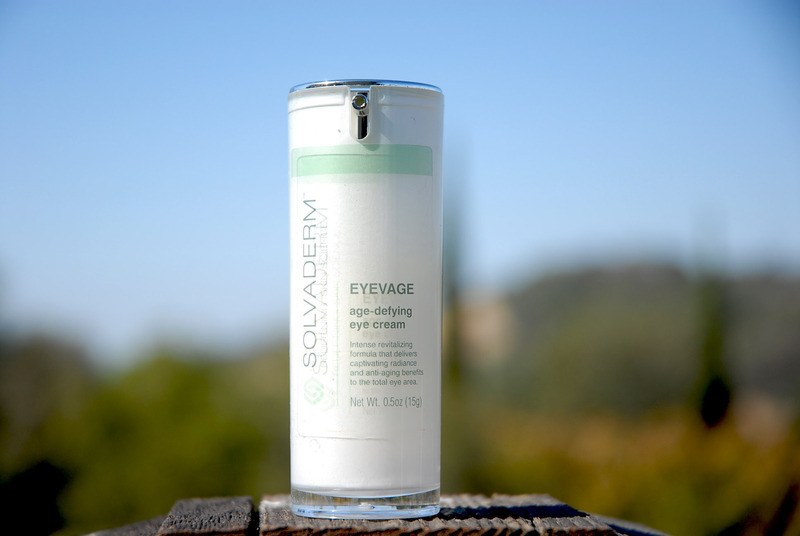 The formula and packaging give a luxurious experience when using Eyevage. Eyevage is priced at $74.99 for 0.5 fl. oz. Once again, this is very pricey and the high water content detracts from the value, but I don’t think that it is particularly overpriced as there are plenty of other eye treatments in the same price point with the same amount of product. There is no outright source quoted for the Squalene and with such a high price I’m inclined to believe that this is not necessarily a Vegan or maybe even cruelty free-product. I’m not 100% sure, but there is some controversy here. That’s it for this review! If you would like to see the sister review on the Juvabrite Skin Brightening Complex, click here. I hope you found this review helpful. Let me know what skincare you’ve been loving in the comments below or on social media using the following links! I’m young but I actually do have EXTREME eye problems, would you still not recommend this product? Hi Delaney! Sorry for the delay getting back to you. Juvabrite’ skin brightening complex has transformed my skin. My dark spots are no longer visible after about 3 weeks of use and I made a little research and discovered it doesn’t contain any harsh ingredients. It fades blemishes and dark spots. I usually wear it under my makeup and my skin looks clearer. You should try it. Wow! This is really detailed. I’ve been using this product too for a week and I observed the great improvement in my skin tone. I’m worried about dark spots and I’m afraid maybe the environment that I am in is the cause of this. I’ve tried two different brands already but with a week of treatment using Eyevage, it became better. I became more confident of this product when you pointed out that it is paraben free. I’ve read that paraben is not proven to cause cancer but it is found on cancer cells so better be secured. I hope to see more positive reviews about this product so that I will be more confident in it.